Looking to discover some great homegrown power pop? 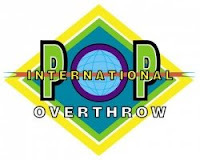 Then be sure to check out the Chicago edition of the 2009 International Pop Overthrow (IPO) festival, which kicks off April 16 at the Abbey. The fest, which has been held for 11 years, accumulates the finest pop-minded bands in each of the various cities it hits throughout the year, from Chicago to Liverpool to L.A.
Chicago’s installment of IPO will play out from April 16 to 25 and will feature over 70 local bands in addition to bands from outside the city. Click here for the complete schedule and here for the full list of bands. Also, check out my previous articles for more information on a few of the bands set to play the fest, The Blissters, I Fight Dragons and Tenniscourts.